Łazienki Park Residence is a unique building project. It is situated in a central location with royal origins – an area known for its rich history and magnificent monuments. It neighbours one of the most splendid park complexes in Europe – Łazienki Królewskie, or the Royal Baths Park. The Łazienki Park Residence it's five-storey building. The residence houses 64 apartments with an area of 32–182 m2. On the top floor there are spacious penthouses with roomy terraces. The other apartments have their own balconies or loggias. Ground-floor apartments have connecting private gardens. The building has two staircases, a reception lobby at the entrance and an underground garage with 95 spaces. Residents will have access to storage rooms. A bicycle room will also be provided. 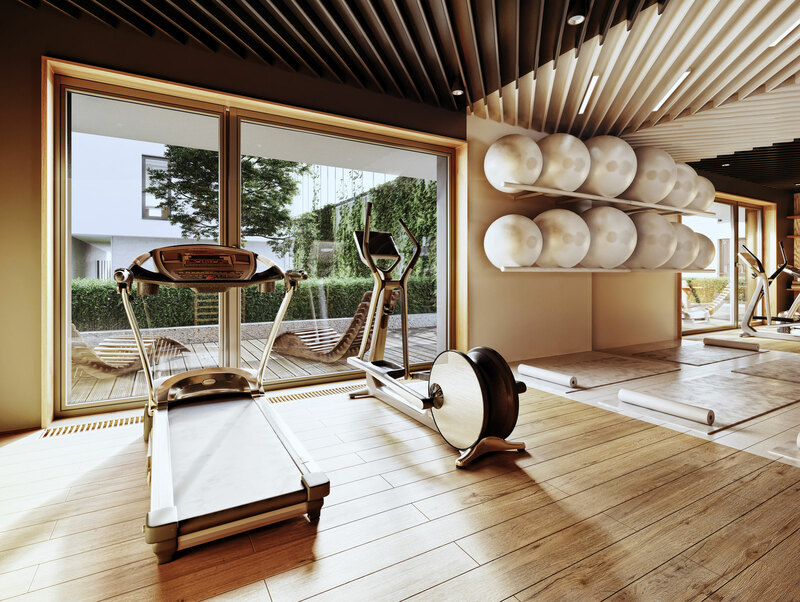 The ground floor features a fitness and relax area intended for various physical activities and open to all residents. The space is designed for training and equipped with several fitness machines. The Royal Baths, a magical and vibrant place where great art and stunning nature coexist, is only a two-minute walk from the Residence. There are numerous public institutions and embassies in the surroundings of the Residence, adding to the prestige of the location. Legia Tennis Club 9 min. VITKAC shopping centre 10 min. Dworzec Centralny railway station 11 min. Pole Mokotowskie Park 14 min. Old Town Square 18 min. The Residence is also located in the vicinity of Agrykola Park, one of the most attractive green areas in Warsaw. Everyone goes to Agrykola – the old and the young, families and singles. The park is hugely popular among fans of active leisure pursuits. It boasts a football pitch, as well as tennis, volleyball and basketball courts. It is also perfect for runners. Perched on a slope adjacent to the park is Ujazdowski Castle, home to the Centre for Contemporary Art. The controller of your personal data provided by means of filling out and sending this form is Yareal Polska sp. z o.o. (“Yareal Polska”). The legal basis for personal data processing is your consent. In order to learn more about the processing of your personal data, click HERE. *) This data and these consents have to be provided and ticked; otherwise we will be unable to receive your inquiry and present you with an offer in response to the inquiry. **) Dane dobrowolne, ale jeśli podasz nam swój numer telefonu konieczne będzie zaznaczenie zgody trzeciej, na kontakt telefoniczny, abyśmy się mogli z Tobą skontaktować. Currently, the FIBARO system is the best building automation solution available on the market. 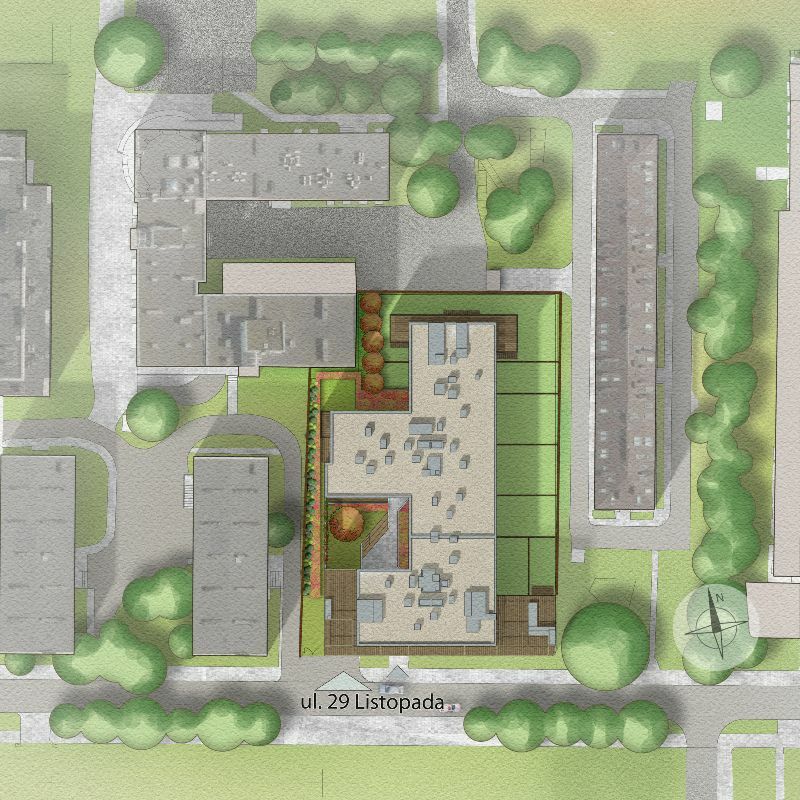 The building at Łazienki Park features a number of solutions intended to improve the comfort of the residents and ensure that the project has a positive influence on the environment and the surroundings. These solutions concern comfort inside the building, elements of friendly surroundings, the location and a positive influence on the local community. Please contact us and visit our Sales Office at Złota 61 St.
On the 25th of April the Sales Office at Zlota 61 St. will be closed. On the 29th and 30th of April the Sales Office at Włodarzewska 83 St. will be closed. These days we invite you to the remaining Sales Offices. on the following days the 1st – 5th od May Sales Offices of all our project will be closed. In these days there will also be no telephone contact at: +48 22 423 80 80. Please fill out the contact form at yareal.pl. in connection with the reconstruction of the section of Włodarzewska Street and temporary one-way traffic, we would like to inform you that access to the Sales Office of Eden Włodarzewska is possible from Grójecka Street. +48 22 423 80 80. YAREAL POLSKA SP. Z O.O. All the materials included on this web site do not constitute a sales offer pursuant to the Civil Code, and are not binding for either party. They serve exclusively as an illustration of the concepts of the artist and architect.